Studies on sea level rise (SLR) in the context of climate change are gaining importance in the recent past. Whereas there is some clear evidence of SLR at global scale, its trend varies significantly from location to location. 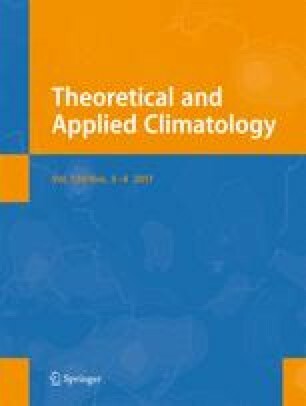 The role of different meteorological variables on sea level change (SLC) is explored. We hypothesise that the role of such variables varies from location to location and modelling of local SLC requires a proper identification of specific role of individual factors. After identifying a group of various local meteorological variables, Supervised Principal Component Analysis (SPCA) is used to develop a location specific Combined Index (CI). The SPCA ensures that the developed CI possesses highest possible association with the historical SLC at that location. Further, using the developed CI, an attempt is made to model the local sea level (LSL) variation in synchronous with the changing climate. The developed approach, termed as hydroclimatic semi-empirical approach, is found to be potential for local SLC at different coastal locations. The validated hydroclimatic approach is used for future projection of SLC at those coastal locations till 2100 for different climate change scenarios, i.e. different Representative Concentration Pathways (RCPs). Future hydrometeorological variables are obtained from Global Climate Models (GCMs) for different such scenarios, i.e. RCP2.6, RCP4.5 and RCP8.5. Effect of glacial isostatic readjustment (GIA) is not included in this study. However, if the reliable information on GIA is available for a location, the same can be arithmetically added to the final outcome of the proposed hydrometeorological approach. This work is supported by the Ministry of Human Resources Development (MHRD) through a sponsored project ‘Future of Cities (FoC)’ (F. NO. 4-22/2014-TS.I, Dt. 23-01-2014).